Edward “Ed” Reddy, 90, of Breckenridge, MN, passed away on Friday, March 29, 2019 at his home surrounded by his loving family and under the care of CHI Health at Home Hospice. Visitation will be held on Friday, April 5, 2019 from 5:00 PM to 7:00 PM, followed by a prayer service at 7:00 PM at Joseph Vertin and Sons Funeral Home in Breckenridge. Visitation will continue on Saturday, April 6, 2019 from 10:00 AM to 10:30 AM at the funeral home, followed by the funeral mass at 11:00 AM at St. Mary’s Catholic Church in Breckenridge. Arrangements are entrusted to Joseph Vertin and Sons Funeral Home. Ed was born on April 18, 1928 in Graceville, MN, to William and Vera Reddy. He was united in marriage to Kathleen Whaley on January 10, 1951 at Ave Maria Catholic Church in Wheaton, MN. Ed was a salesman his whole life, starting out at the Farmer’s Store in Wheaton. In 1954 he moved to Herman, MN, and worked for Stovern Implement. Ed then began his lifelong career as a car salesman at Berger Chevrolet. 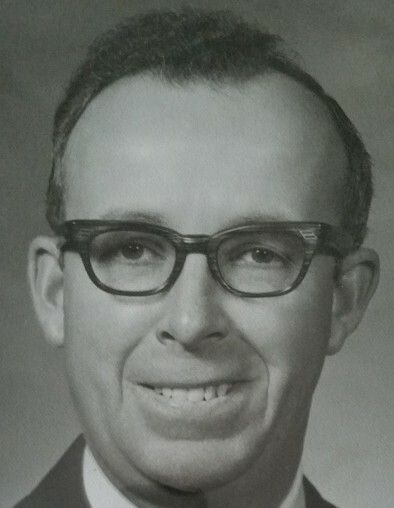 In 1960 he moved his family to Breckenridge, MN, and began working at Smith Motors in Wahpeton. In 1976 he crossed the river and went to work at Kreb’s Motors. He retired in 1999. Retirement wasn’t for him yet, and he went to work part-time for Wyndmere Chevrolet and also did some farming. He enjoyed getting back on the tractor. People joked that he had more energy than people half his age! He was a lifelong member and Past President of the Wahpeton Eagles. He was also a member of St. Mary’s Catholic Church in Breckenridge. Ed enjoyed cars, especially the older classic models and tractors. He enjoyed his annual trip to Rollag in the fall. He also enjoyed going to auction sales looking for treasures and visiting with many people. Ed bought a cabin on Pickerel Lake in 1968, and enjoyed time with the family at the lake. The 3rd generation is now enjoying summers at the lake. Ed was generous with his time and help to family, neighbors, and friends. He woke up happy every morning ready to enjoy his day and never complained. Ed was always ready to share a story and a laugh or two, greeting everyone with a handshake and a smile. His hearty laugh will never be forgotten. Ed was proud of his children and grandchildren and blessed to be able to spend time with great-grandchildren. Ed also enjoyed traveling to CA, MT, MA, and WA to visit family. After retiring, he left the cold Minnesota winters for warm sunny Arizona where he enjoyed swimming every day, playing shuffleboard and pool, and taking some classes. He walked many, many miles with his very much loved canine companion, Bubba. If he wasn’t out walking with him, you’d find him on Ed’s lap or curled up next to his feet. They were inseparable. He was preceded in death by his parents, William and Vera Reddy; infant twin brother; infant sister; brothers, Francis Reddy and Ralph Reddy; and brother-in-law, George Buresh. Ed is survived by his wife of 68 years, Kathleen Reddy; children, Don (Judy) Reddy, Helen Reddy, Linda Reddy, Carol (Lily) Reddy, Tom (Darlene) Reddy, and Mary Reddy (fiancé Jeff Muehler); grandchildren, Anitra, Chad, Melissa, Sean, Nicole, Sierra, and Jennifer; great-grandchildren, Mckenna, Brayden, Kenny, Raina, and Finn; brothers, Irvin (Bernice) Reddy and Allen (Nancy) Reddy; sister, Irene Buresh; sister-in-law, Patricia Reddy; and many nieces and nephews. Obituary submitted by Ed’s family.